People either embrace conflict or run from it. How we deal with it shapes our relationships and wellbeing, and if an issue is left unresolved, it can damage our couple relationship, the family unit, friendships and our work environment. If conflict is avoided, left unresolved or approached unhealthily, it can cause people to become hurt and angry. It adds to confusion and can keep us from taking advantage of new opportunities. However, it does have advantages. Conflict is a natural part of life, and provokes things to change. Some life lessons can only be learned through conflict, and these scenarios can also give us a greater capacity to become flexible, patient and understanding people. 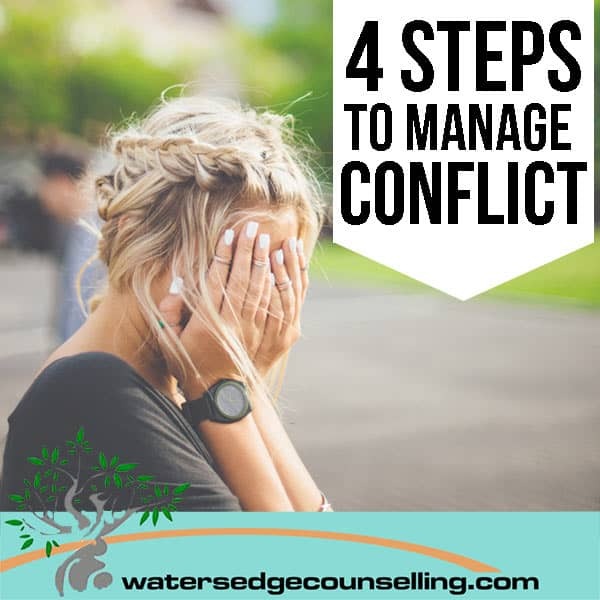 Next time conflict arises, follow these steps and make it a positive experience. Whether you have a problem with your spouse or a stranger, remember that the person isn’t the issue—their behaviour is. Avoid using language that insinuates they are ‘bad,’ ‘wrong,’ or ‘stupid,’ and instead use inclusive words, which allow you to empathise with them. When you enter conflict, remove the mindset that you must ‘win’ or prove that you are ‘right’. Instead, make it your goal to understand the other person’s thoughts and ideas. Actively listen to what they are saying, and appreciate what their words mean to them. Put yourself in their shoes by asking yourself how they are feeling and what prompted their actions. It is important that you express your point of view and concerns, but do so with empathy. Avoid loaded questions that will startle them or put them on the offensive, and be honest about your feelings. Take ownership of the fact that while their behaviour impacts you; you choose to feel a certain way. Don’t skirt around the edges, insinuating what you mean. Speak honestly and mean what you say. If your conflict requires an active solution, rather than just a mutual respect of each other’s opinions, begin problem solving together. Depending on the quality of your relationship, you may need a mediator or counsellor to help you through this process. Problem solving will help you to define the problem, identify possible solutions and evaluate the possibilities that come from these. Once you have decided on a solution together, begin to initiate it. This blog was put together using information from the Victorian Youth Mental Health Alliance, the Gippsland Mentoring Alliance and the book ‘People Skills: How to assert yourself, listen to others and resolve conflicts’ by R Bolton (1986). Do you struggle with conflict? Would you like a mediator to help you manage this in your couple, family or work-related relationships? Contact us on 0434 337 245 for a FREE 10 minute discussion or go to BOOK ONLINE NOW and follow the prompts to make an appointment.